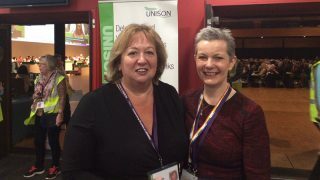 A UNISON survey shows that nine in ten (91 per cent) student nurses would not have applied for the nursing degree without access to the bursary which the government intends to scrap in 2017. This week’s spending review said that next September will be the last year of the bursary that enables around 15,000 students to study to become nurses. The UNISON survey – of 2,000 student nurses – also shows 90 per cent of respondents were in receipt of an NHS bursary. The union is also concerned over plans to introduce a new potentially costly system that means newly qualified nurses will end up earning just £22,000 but willhave debts of more than £50,000. 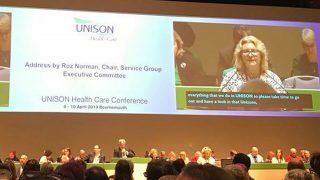 There are also serious questions over who will pay for the clinical placements that nurses are required to do for pass their training, says UNISON. “New nurses will now have to take a loan to live on, a second for their tuition fees and potentially a third to pay fortheir compulsory placements in clinical settings. “Half all student nurses already have children or other caring responsibilities, and hardly any will have spare cash to pay for what looks set up to be a course with exorbitant costs to do a job thatpays very little.